After moving furniture around our home the past few weeks (that post to come soon), I have been wanting some “new” accessories. You KNOW how much I like using books, right? 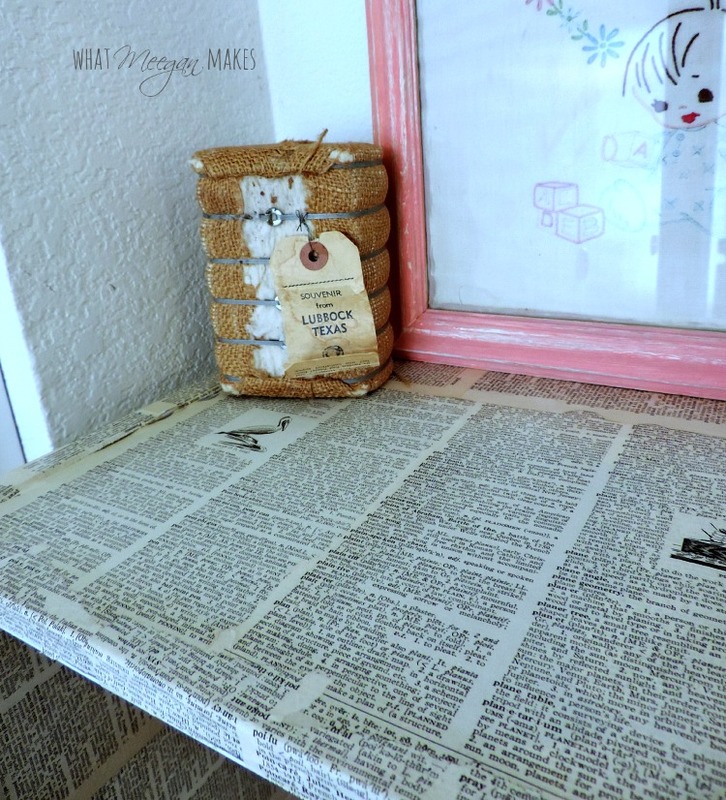 Well, today I have a super simple and easy way to make some new accessories using vintage books without spending a penny. Sound fun? 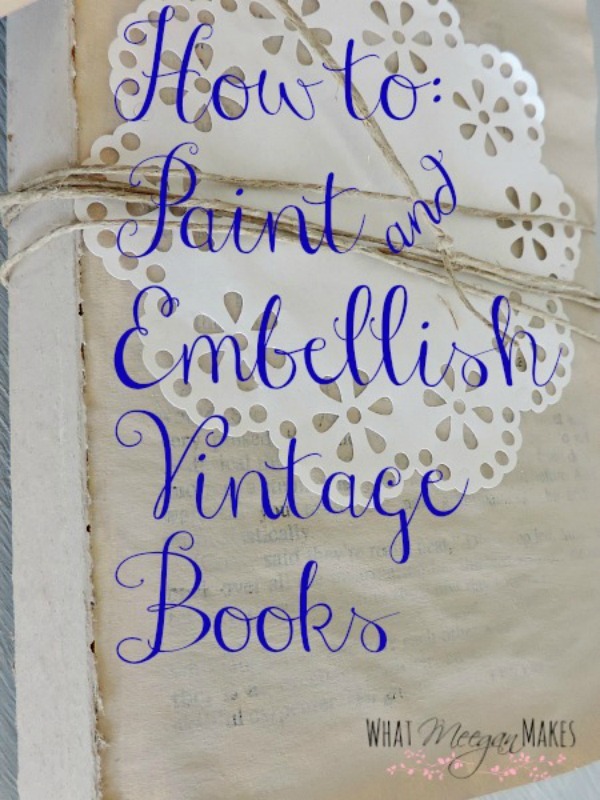 Why don’t I show you How To Paint and Embellish Vintage Books? we are ready to BOWL our way into SUPER INSPIRATION!! We hope you are enjoying your Super Bowl Sunday! We are inspired by you every week. Do you need a good laugh? Do you need a good laugh about YOUR craft fails? I KNOW I do. CraftFail was just what I needed. I am happily talking about a Book Review and Interview with Heather Mann today. Heather Mann, the founder of CraftFail.com and DollarStoreCrafts.com, has been crafting with middling success all her life, but blogging expertly since 2000. She is also cofounder of The Blueprint Social, a social media consulting company and network of influential bloggers, and co-host of the web show Get a Little Creative. She lives and crafts in Salem, Oregon. But amidst all the terrible failure is a celebration of those among us who are brave enough to pick up the scissors and get crafty! Because even if you can’t make a handsome Papier mâché stag to hang on your wall, why shouldn’t you try? As Heather says, you learn more from trying and failing than not trying at all. And when it does go wrong—as it inevitably will—you can always find solace in sitting back and laughing at the ridiculous results. As one anonymous crafter said: “It wasn’t supposed to end this way.” Luckily for us, it did. CRAFTFAIL (Workman; November 2014) illustrates the hilariously gruesome underbelly of the creative process.Inspired by her own craft experiences, Heather gathered real-life home decor fails, fashion fails, holiday fails, food fails, kid crafting fails, and best of all—EPIC fails (those projects that are so inspiring that they are attempted again and again by members of the crafty tribe to, quite frankly, disastrous results)! Filled with over 100 full-color photographs of the hoped-for outcome and the underwhelming reality (plus captions pointing out what went wrong), these embarrassing and often pathetic crafting attempts are the stuff that gets the “A for Effort” and LOL for outcome. 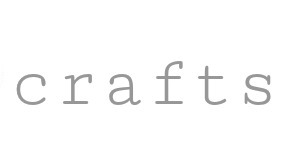 Question #1: Why did you decide to write CraftFail? I have learned so much about the power of failing from running the CraftFail website that I wanted to share! And I wanted to share the LOLs, too, of course! Question #2: What motivates you? I am extremely motivated by the process of being creative, and also by the excitement of posting my creations online! I love to share with others who have a like-minded love of creativity. Question #3: What do you want your readers to gain from your book? First, I hope they’ll be entertained! Second, I hope they are encouraged to look at failing in a different light — it’s not something to be avoided, but to be embraced. I have learned so much from my various CraftFails, and I hope my readers will too. It was late at night when Hubby and I hopped into bed. I told him I had a book he might like to look at with me. He said, “Meh, okay.” Within just a few minutes of reading the tears were running down our cheeks from laughter. We laughed till we cried. We could relate in so many ways. AND, we have been through more craft fails of our own than we could ever count. 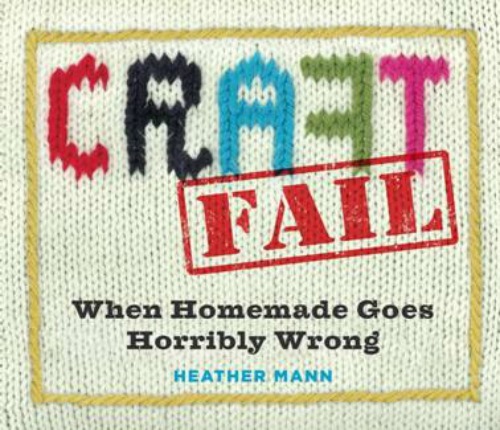 Heather nails it on the head with what it is like to fail at crafts, She sees the reality of Craft Fails and embellishes it perfectly. 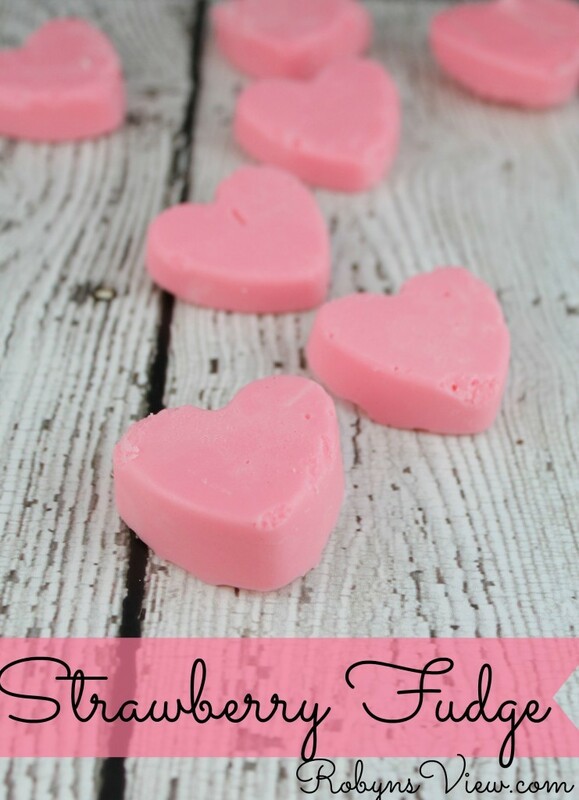 The photos, the writing, and the humor is what every crafter can relate to on so many levels. It is a MUST READ for EVERYONE. I will definitely be sharing CraftFail with my family and friends. It is a great gift. I think anyone who reads CraftFail will laugh as much as I did, if not more. I can’t wait to look through my copy again…OH WAIT! I have several times, already! 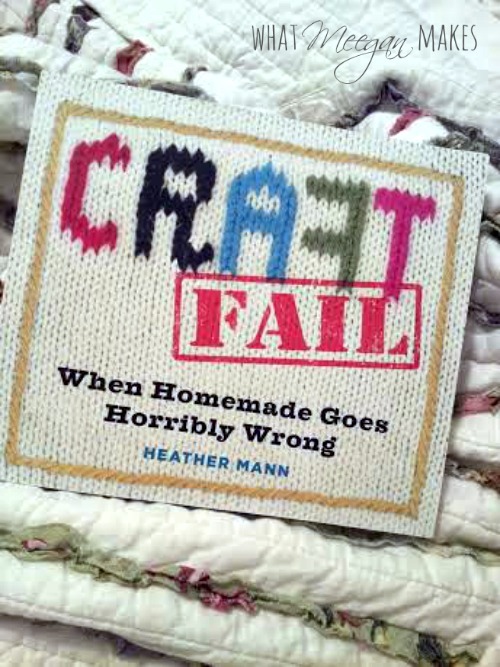 Pick up your copy of CraftFail soon. It’s Friday! And you know what that means, right? Yep, It’s Field Trip Friday with Dear Emmeline. I have been following Jessica since her beginnings as a blogger. I have always been pulled in by her decorative style, and accessory choices. You could say I want to be her when I grow up. Now sit back and enjoy Field Trip Friday with Dear Emmeline. Hello! 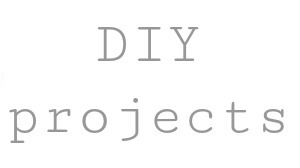 My name is Jessica and I’m the writer behind the DIY and lifestyle blog Dear Emmeline. When Meegan asked if she could bring her readers on a field trip to my blog I of course said yes! 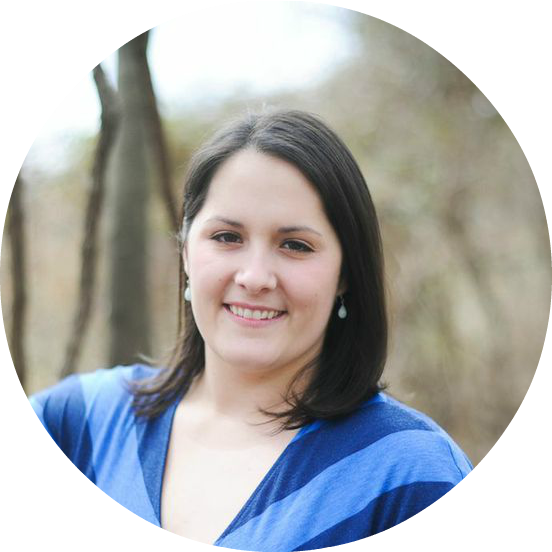 I began my blog near the end of 2011 as a creative outlet after my second child was born. 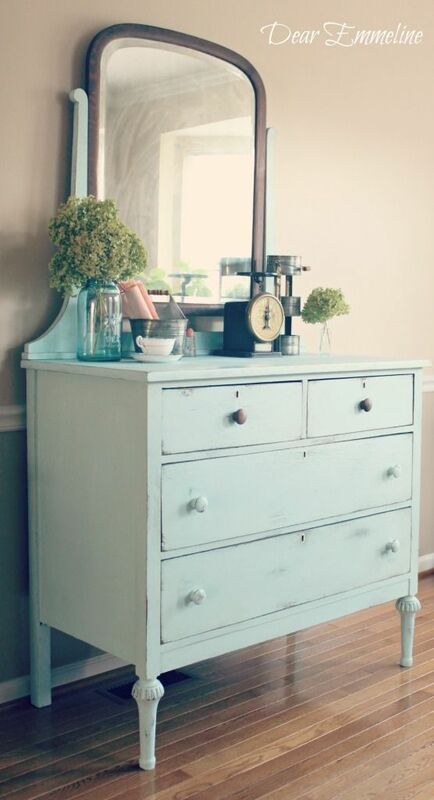 By the beginning of 2012 I started refinishing furniture and selling it online in local Facebook groups and Craigslist. 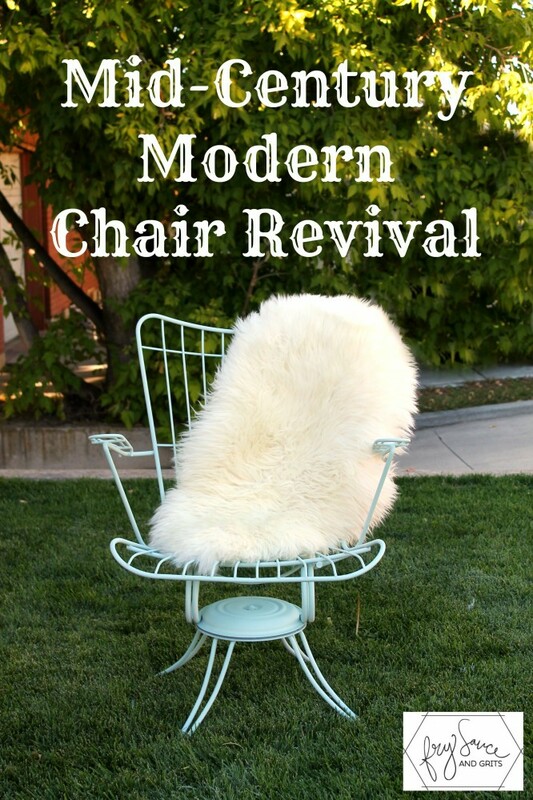 Eventually, I made a few local connections and began consigning my furniture out of a local barn sale. When the barn was taken over by Cassie of Primitive and Proper and Sarah aka The Thriftress they graciously allowed me to continue consigning. 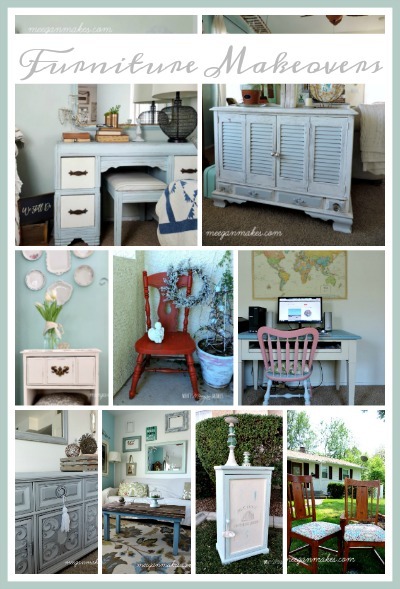 Some of my favorite furniture makeovers include this Cross Stitch Dresser, my son’s Woodland Dresser, and an Old Pickup Blue Dresser. 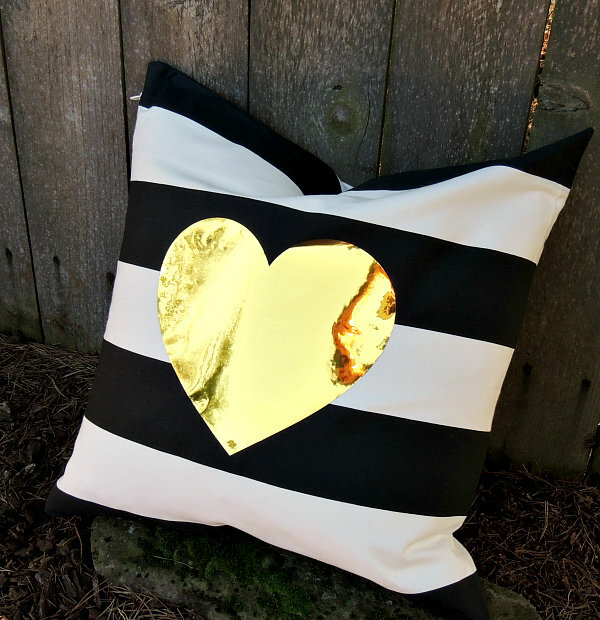 Gradually, I began adding in crafting, sewing, and DIY home decor projects. 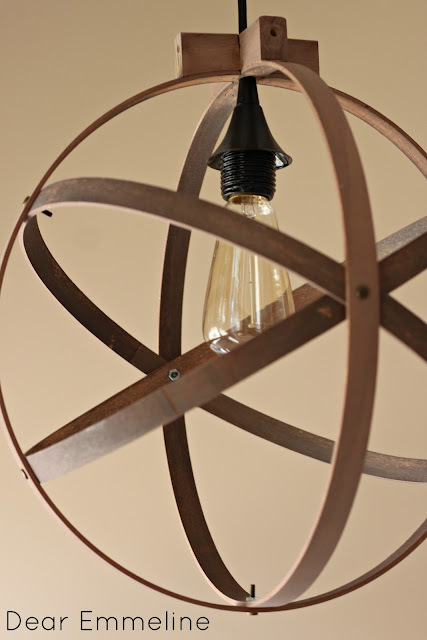 Our Embroidery Hoop Pendant Fixture is a reader favorite. 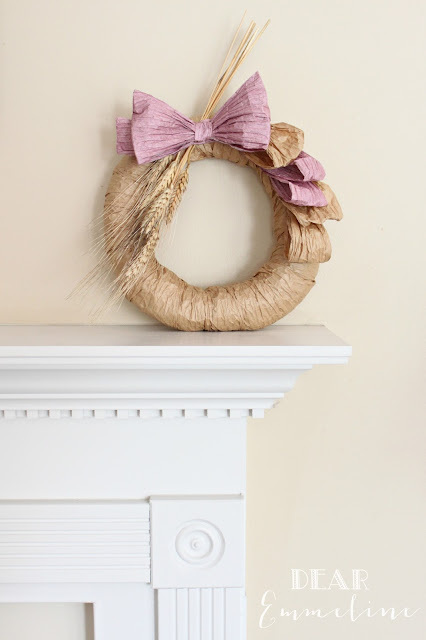 In honor of fall, one of my personal favorites is an easy Faux Cornhusk Wreath. As of late there hasn’t been a whole ton of small projects or furniture refinishing going on. In February my husband and I bought a new home. The main portion of the house was built in 1910 and was in need of major renovation. We began our renovation journey the very night we closed on the house. 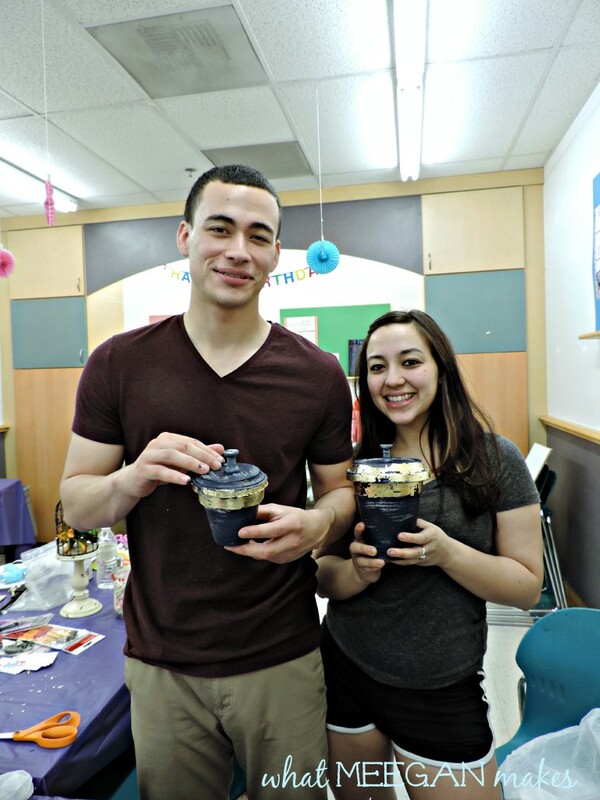 We furiously worked on the house during March and into April at which time my husband had some health issues and I was nearing the end of my third pregnancy. After the baby was born and hubby was feeling better, we resumed work on the house and were able to move in just before school started at the end of August. 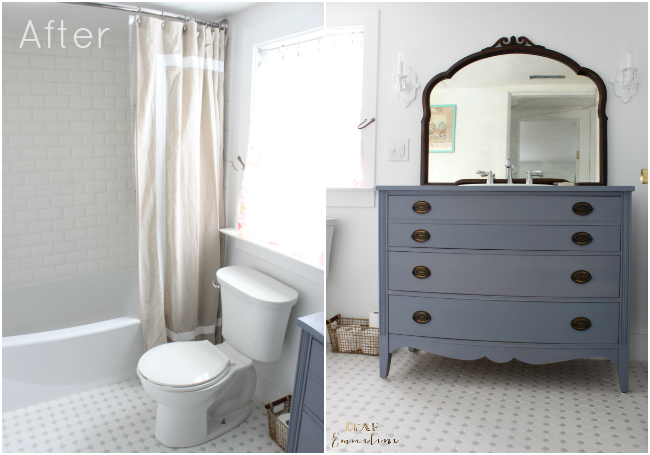 So far we’ve revealed a half bath and our full bath. 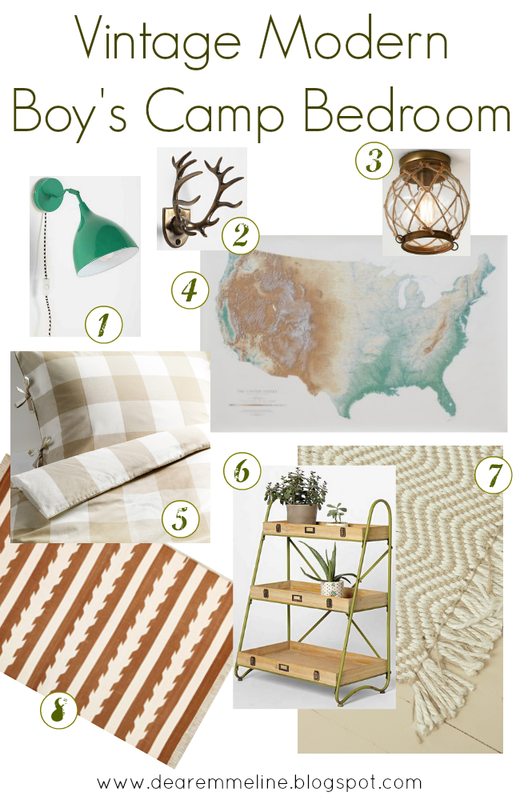 This month I plan to focus on finishing up the boys’ camp themed room. We’re also in the process of waterproofing the dirt cellar and having central air and heat installed. 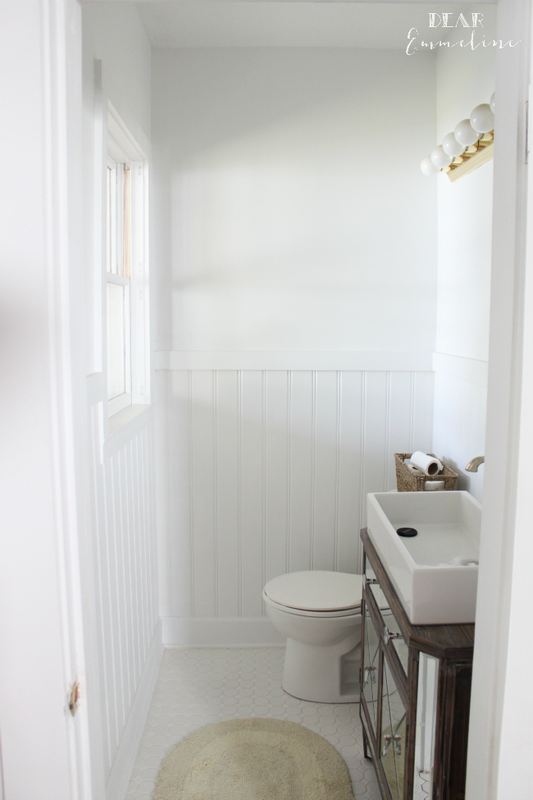 Once the heating system is in and we’re ready for the late fall and winter weather, I hope to add the finishing touches in the 2nd half bath and kitchen. For now much of the house still feels like a blank slate but it’s been fun putting our stamp on the space little by little. 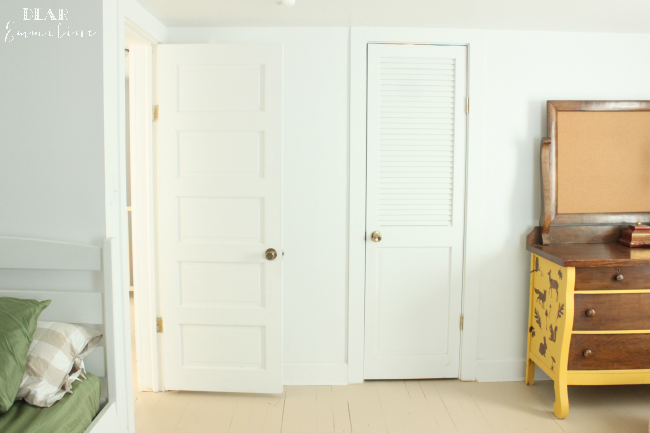 If you would like to follow along with our renovation progress, we will continue posting room reveals, DIY projects, and decor tutorials on the blog. JessicaThank you from the bottom of my heart Jessica. It has been an honor and a pleasure to have you here for Field Trip Friday with Dear Emmeline. 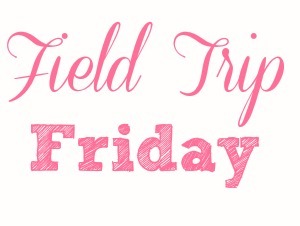 I know my readers have enjoyed your field trip as much as I have.Make it a Field Trip Friday everyone! Wow! This is an exciting day! I am part of the Blogland Tour. 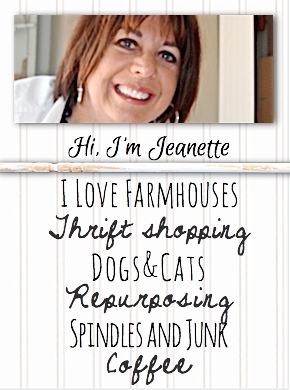 I have the opportunity to introduce you to my friend, Jeanette. She is one of my blogging friends. 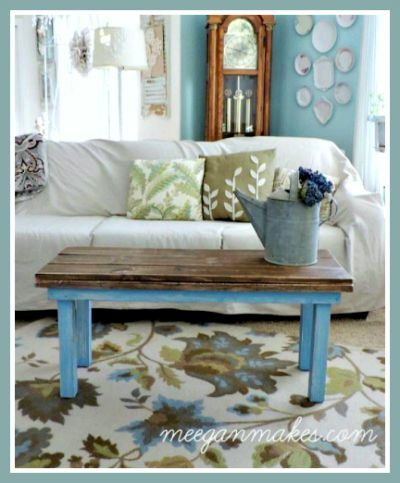 Her blog is Country Design Style. Have I ever met Jeanette? No, but I LOVE her style. Do I want to meet Jeanette,? You betcha! 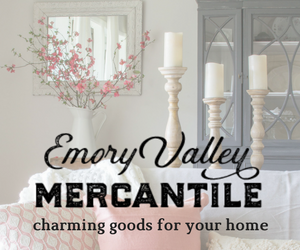 We are kindred spirits, in that both have a love for rustic, thrifted and refurbished items. Not only that, but she is patient kind and FULL of talent. Her vision and insight is beyond compare. 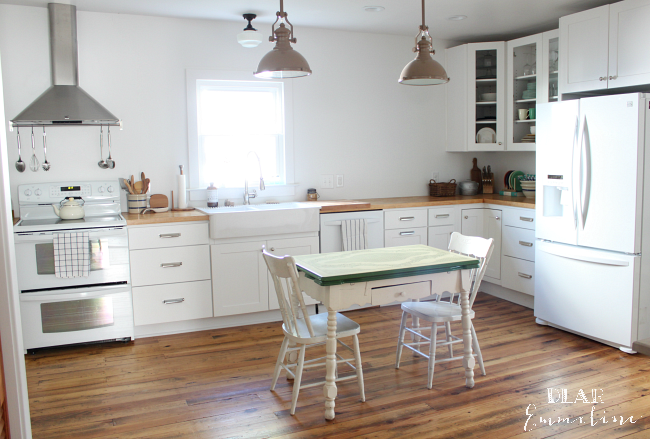 AND she has been featured on Houzz. Woot woot! So it is my honor for YOU to meet my dear friend, Jeanette. 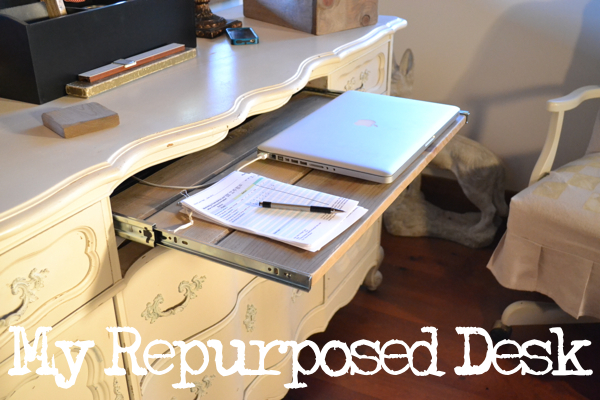 Her repurposed blogging desk, which once was a dresser. 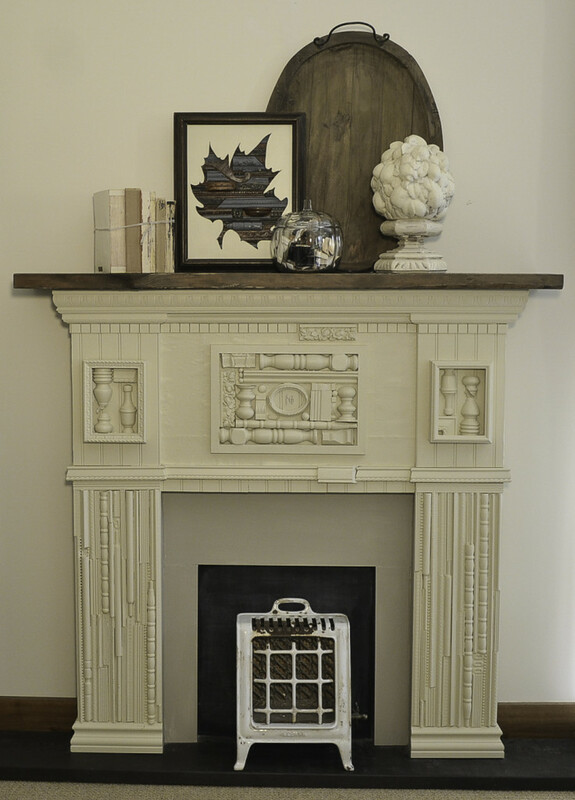 Jeanette’s scrap wood mantel. YES! 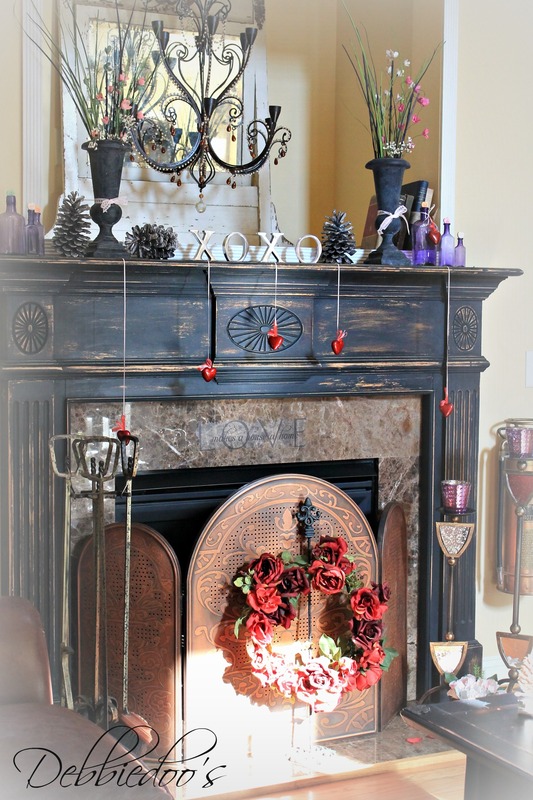 SHE MADE THIS MANTEL. Can you say LOVE??? 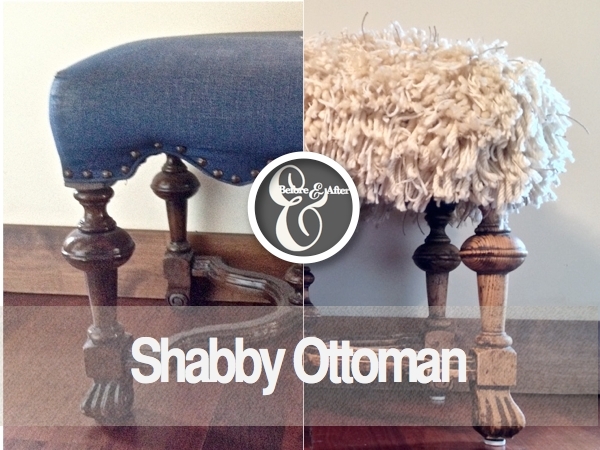 How awesome is her ottoman makeover?? 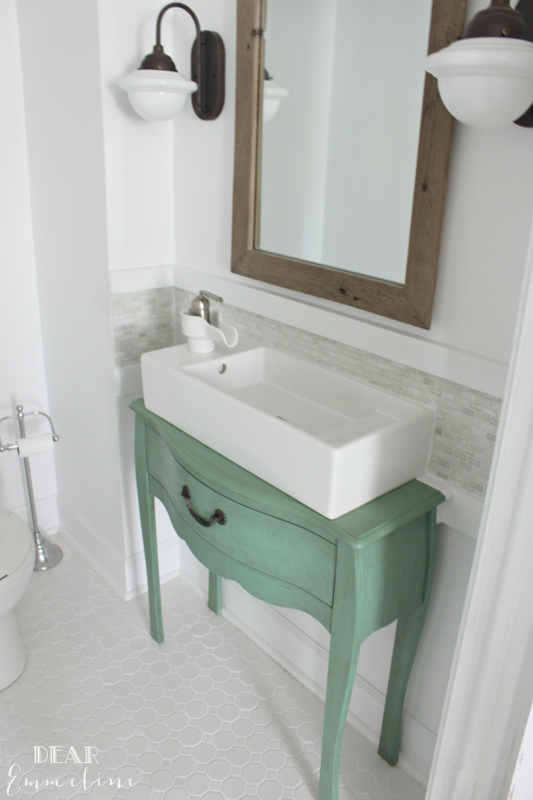 Yes, this was featured on Houzz. Oh! And did I mention that Jeanette lives in a cabin? Yes, she most certainly does. And it is GORGEOUS. To see a FULL HOME tour, visit here. As for another part of the Blogland Tour I am suppose to answer 4 questions. Are you ready? 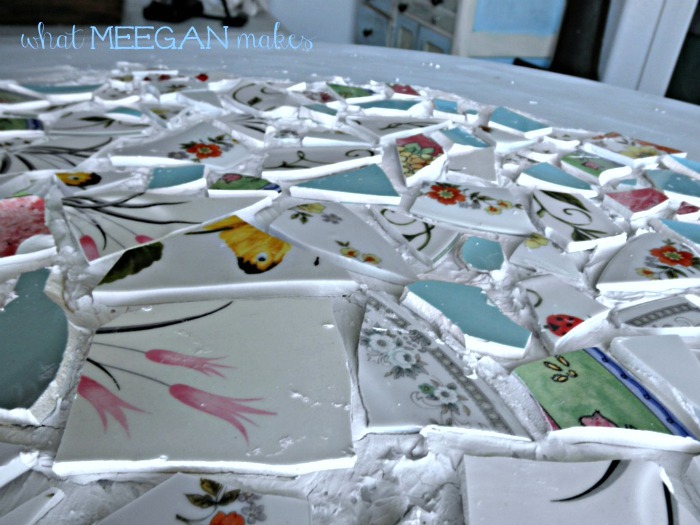 and a mosaic tabletop. Yes, I have been working on this for a year now. I think it’s time to finish it, wouldn’t you say? 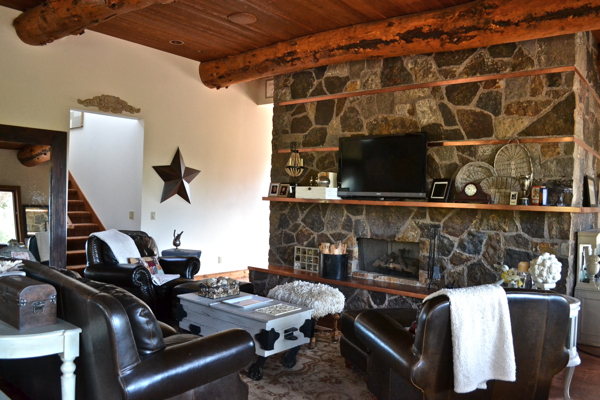 I would say my work differs because I have done DIY, furniture makeovers, had my own style as long as I can remember. I am a lot older than most bloggers. I am 56 years old. The average blogger in my genre varies from late 30s to mid 40s. I do what I do, because I love it. I love to create. I love to share what I create. I enjoy having somewhere to share it. My creative juices never stop. Never, ever! Sometimes my brain won’t stop. Hubby will often ask me, “Does the creativity ever stop?” My answer is always, “NO, but sometimes I wish it would.” I don’t have nearly enough time in my lifetime to get everything done that my brain can conjure up. Honestly I have projects in my head and on paper from 2-3 years ago that are still waiting for me to accomplish them. It’s not that I procrastinate. It’s that there is a REAL need for some to get done, and others are just for fun. 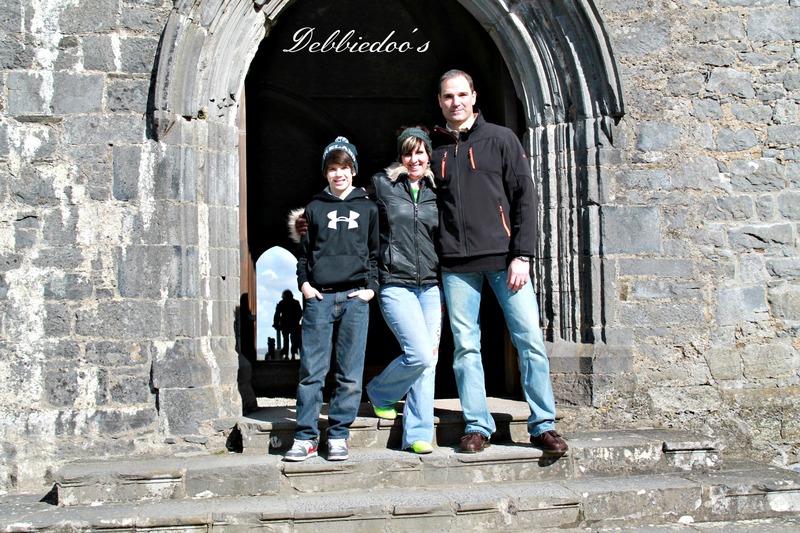 NOW for you to meet 3 of my other blogging friends. I hope you will pay each one of them a visit and tell them I sent you. Cat is the oldest of 5 daughters in my family. My mother had awful morning sickness with all of my sisters for the entire pregnancy. So growing up, she taught me how to cook so that I could help in the kitchen while she was trying to keep her composure in the other room. After I left home and went to college I took some cooking classes as electives and just loved them. From there, it’s just been a process of teaching myself various techniques, trying new things, and doing A LOT of research in cookbooks, online, and just flat out experimentation. I love to make new creations. And I am grateful that I have a husband and two awesome little girls who have been my guinea pigs in this journey. 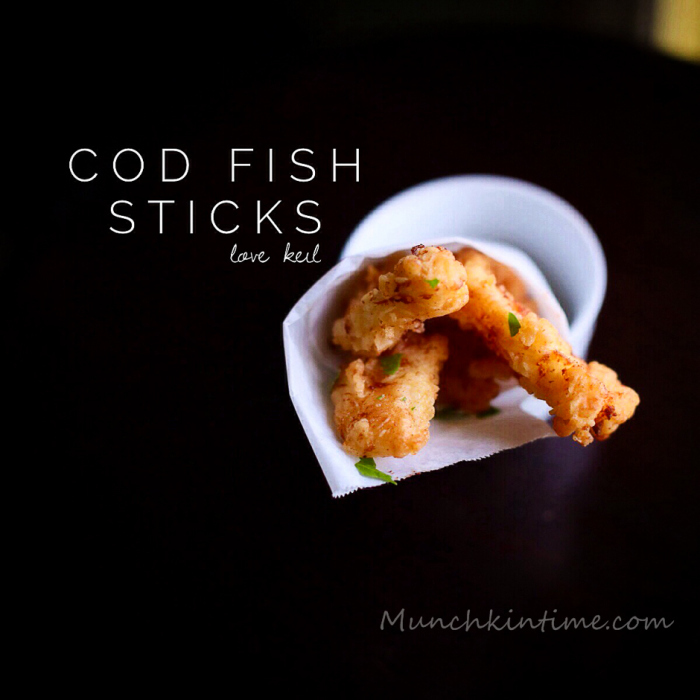 Join me on my blog: He Married Me For My Cooking. Julie started her blog Sum of their Stories almost exactly a year ago to share her love of all things crafty. Brought up in a “don’t buy it, make it” environment she was inspired by her Mum and Grandma’s to try all sorts of crafts. 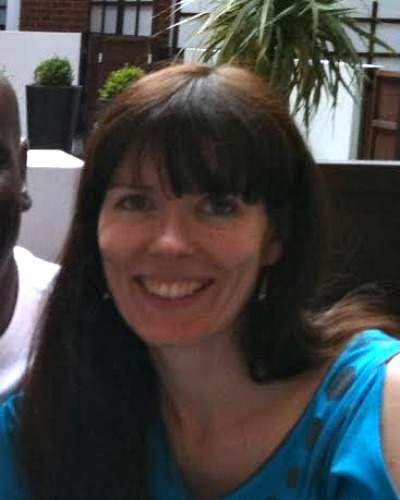 Julie describes herself as an enthusiastic amateur and just wants to encourage others to have a go too. 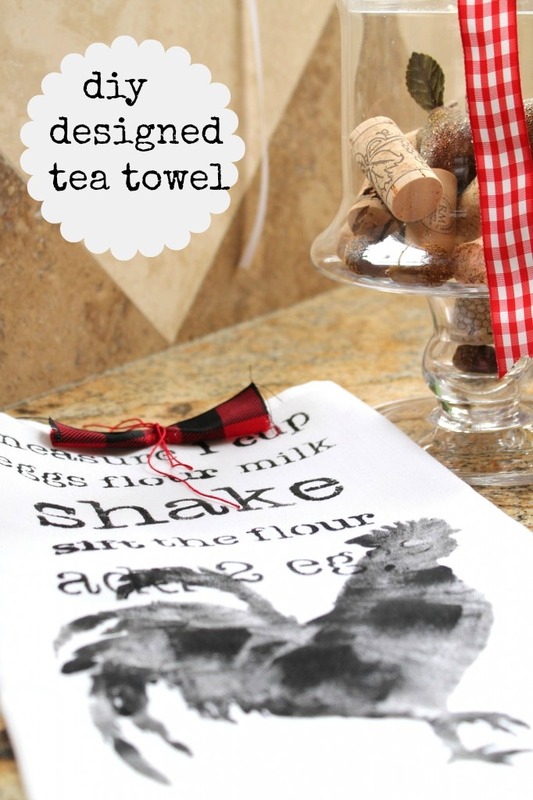 She has a selection of tutorials for sewing, knitting, crochet, paper craft and recycling projects and even a few family recipes. 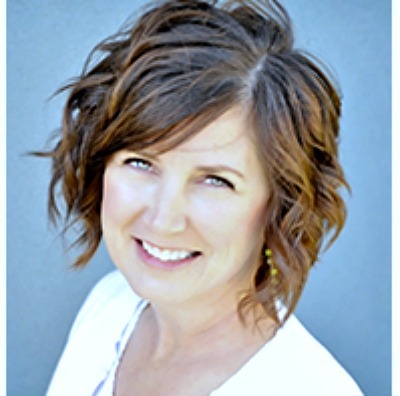 Hi, my name is Leanne from Organize and Decorate Everything I have a wonderful hubby and kids that put up with me organizing, rearranging, and decorating our home constantly. Thanks for joining me on the Blogland Tour. 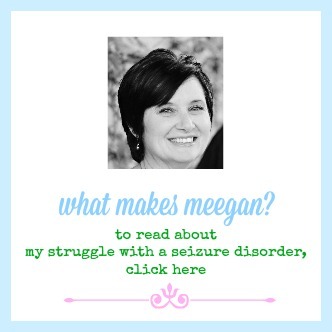 I LOVE sharing other bloggers with you as well. 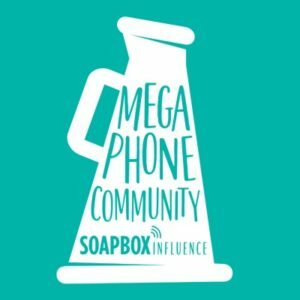 I am blown away by the blogging community as a whole. They support and help one another constantly. Make it a wonderful Wednesday everyone! Time for another Field Trip Friday! 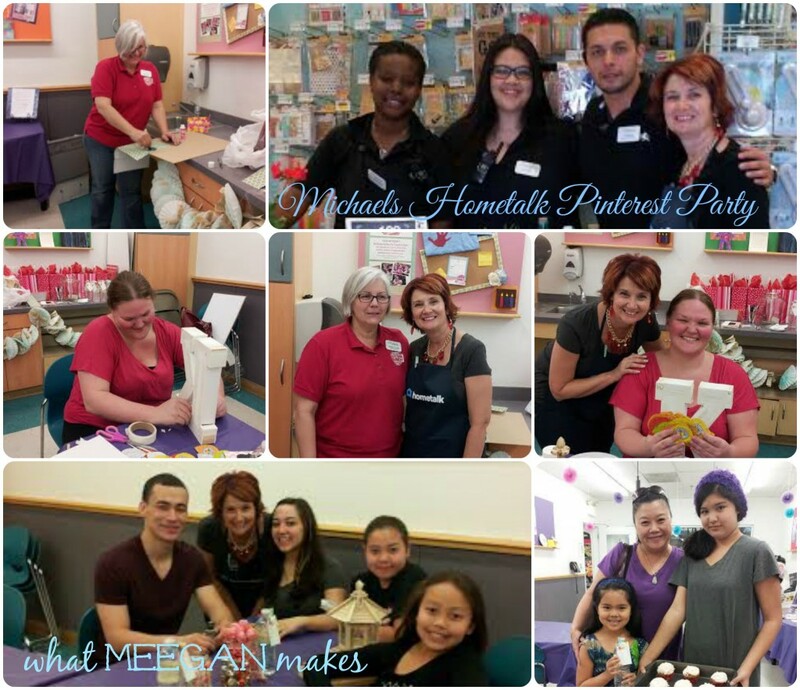 This time I am sharing my Michaels HomeTalk Pinterest Party-which was SO exciting and FUN! 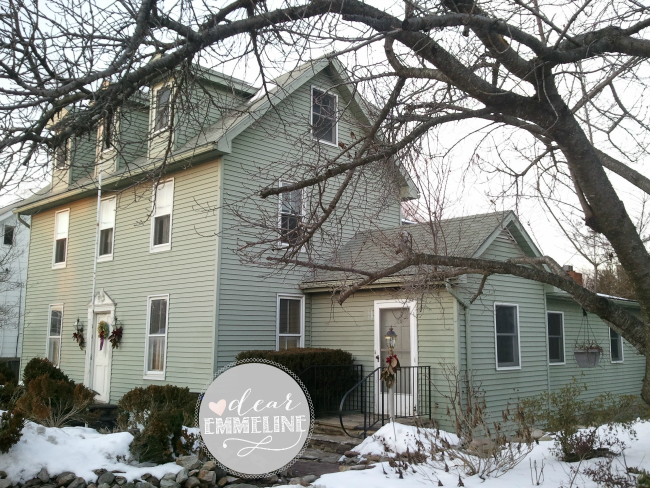 I love sharing my Field Trip Friday Michaels Hometalk Pinterest Party with you today. 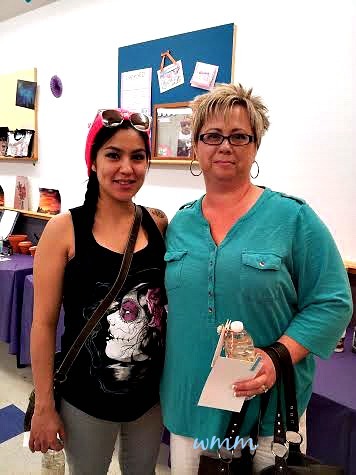 The Pinterest Party was on Feb 16th, in Henderson, NV. I had been planning for weeks for this day. I was really excited and nknew my party attendees would be too. 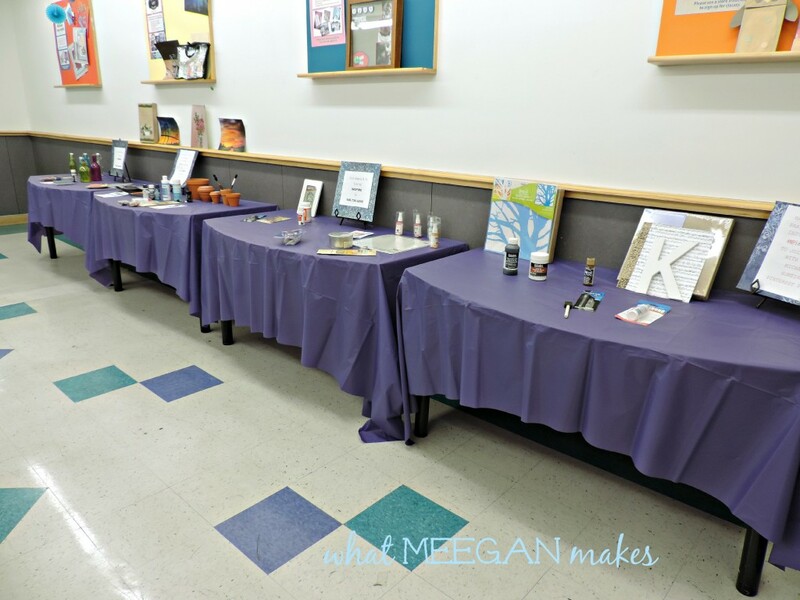 Okay let’s get started on the Field Trip… The Michaels classroom was set up with different ideas and crafts to get your creative juices flowing. 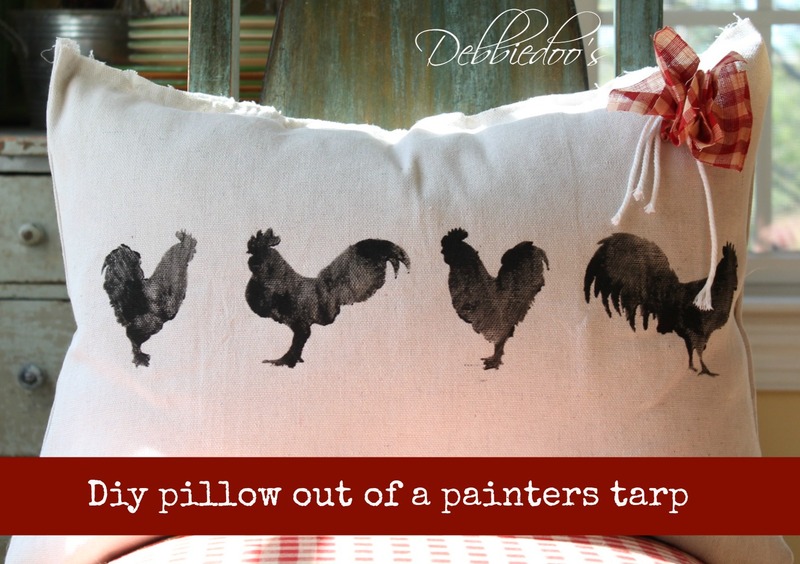 There was everything from burlap, to chalkboard ideas, to mod podge and stenciling available for anyone to try. We had this table set up right in front of the store with my Spring Inspired Fleur Pot and the Chalkboard Labeled Bathroom Bottles along with cards and invitations to join Hometalk and enter to with $100 Michaels gift card. Jennisha and Melissa were amazing! 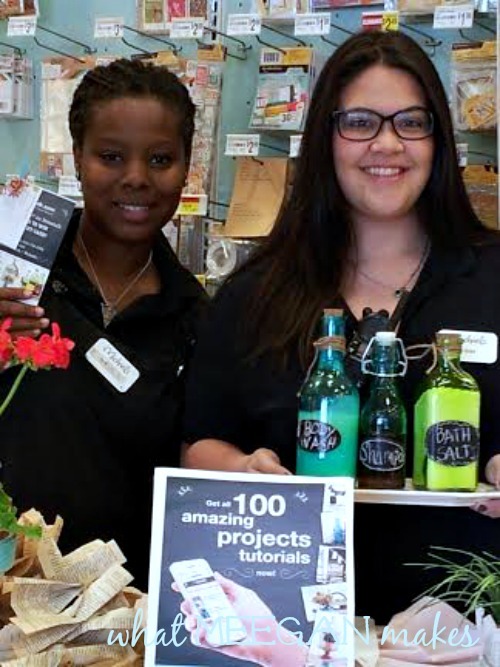 Jennisha would help customers find what they needed to make their Pinterest Party projects. 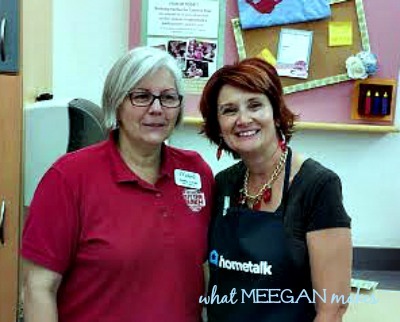 Melissa stopped people on their way into the store to tell them about Hometalk and invite them to the Pinterest Party. These is the first 2 guests to our party. They were so sweet. They didn’t stay to craft, but they had a ton of questions for me. They are planning a baby shower. I helped them with choosing colors, to making labels for the candy bar, to what type of glitter to use, and how to emboss. It was really fun to get to know them. There were at lesast 25 people that walked through the classroom browsing and asking craft questions. 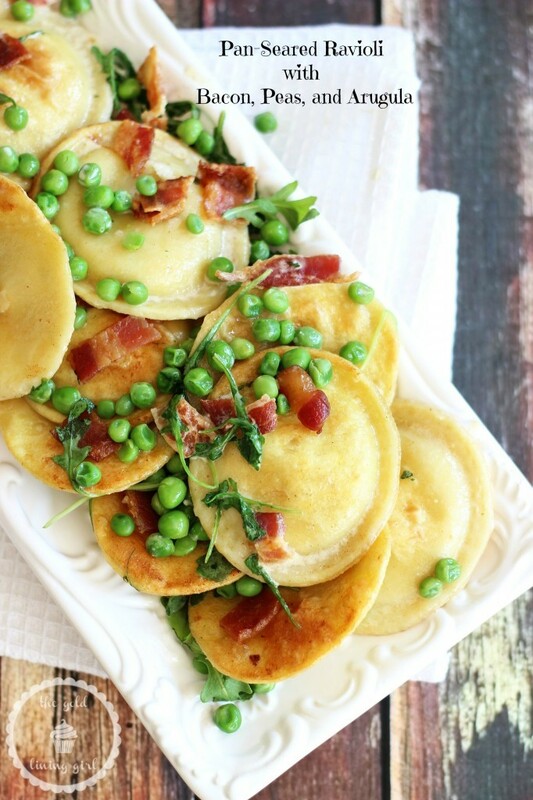 I talked to each one sharing the Pinterest Party ideas. We talked about what Gesso is, how to make jewelry, how to write on a chalkboard, what should you buy to fill a brand-new craft room with, bakers twine, etc… It great to hear their ideas and creativity. Below is a collage from the highlights of the day. These are my cute friends that came to support me. Yep, even HE made a craft. They each opted to make a bathroom container out of a flower pot for q-tips and cotton balls, using craft paint and gold leaf. This is Jerica. She was SO great! 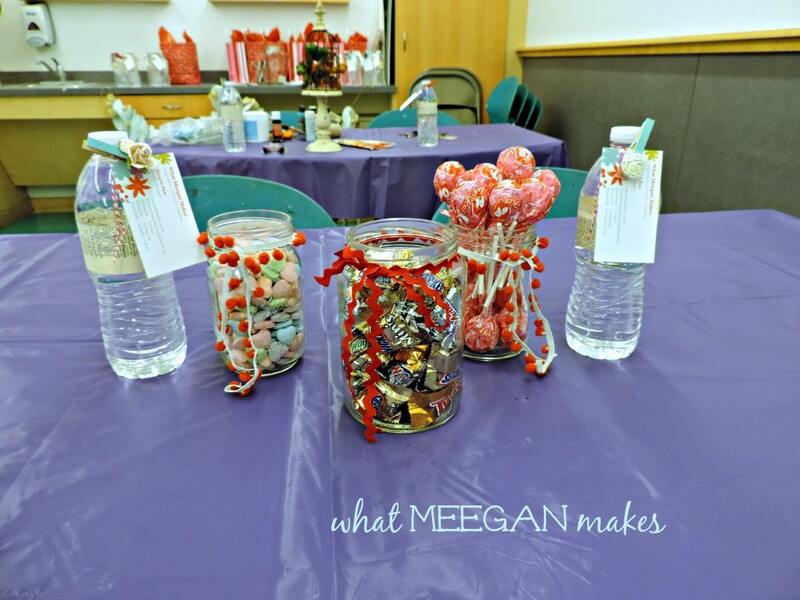 She came to the party with a bag full of her own Pinterest pin ideas and evrything she needed to start a craft. She shopped the store and came back with an arm full of items for her project. She made her own 3-D K that she is going to decoupage labels on for her boyfriend. 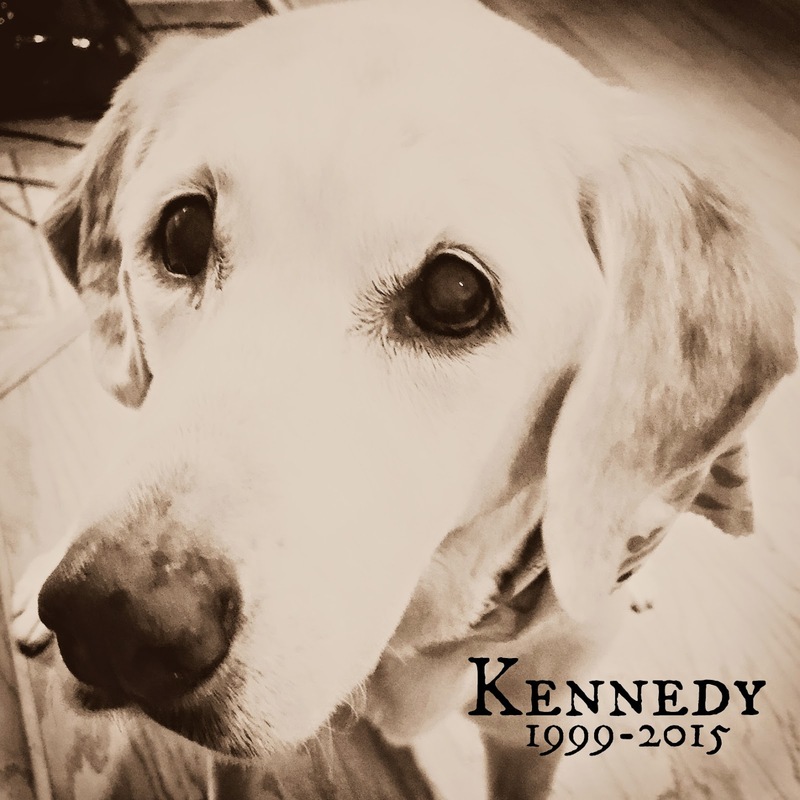 She was the life of the party and a pleasure to get to know. 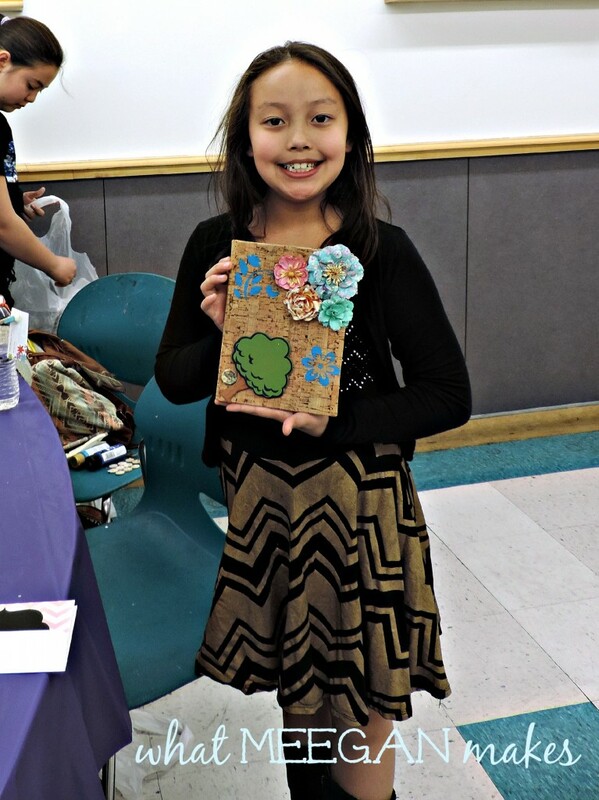 This cutie bought a journal and decorated it with pre-made flowers and stenciling. SO cute!! This is the regional manager, Denise. She was there observing and after watching us for a little she was inspired to craft something for her home. 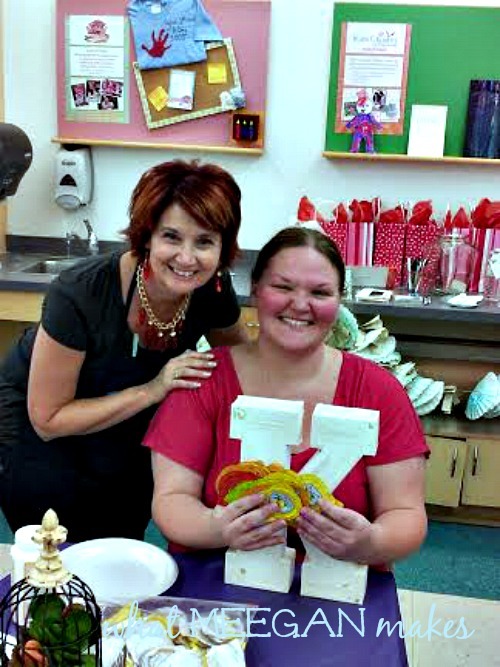 Denise was very accommidating and we had a great time crafting together. All in all it was a wonderful day filled with new friends, creative juices, laughing, and new ideas. Most of all Pinterest worthy projects. 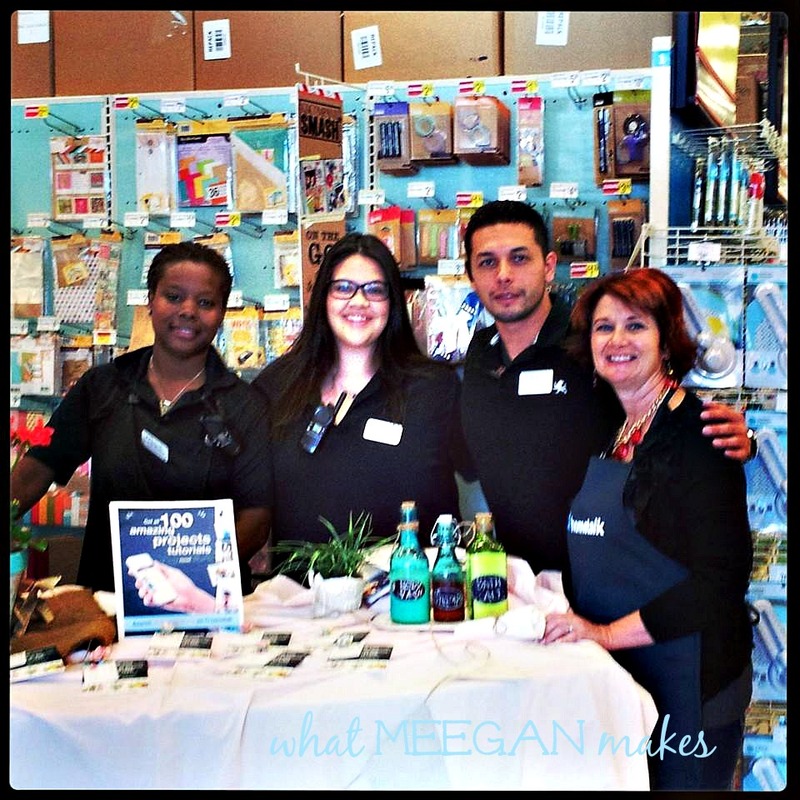 Thanks Michaels and Hometalk for giving me an opportunity to be a part of such a fabulous event! It was my dream as a blogger to be one of “those” bloggers. And I was able to achieve that goal at the Pinterest Party. Thanks for joining me for Field Trip Friday, Michaels Hometalk Pinterest Party. It was a blast and a dream come true! Make it a field trip Friday! There is a lot going on and it is ALL exciting and fun for ALL of us!! Love is in the air!! Yes, it is. Starting TOMORROW you can enter a $500 GIVEAWAY right here!! Because WE LOVE you, our readers and followers SO much. 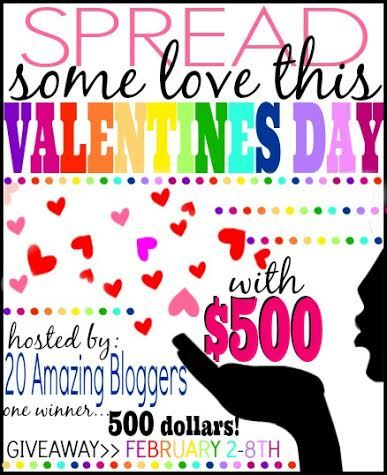 TWENTY amazing bloggers want to give you a chance to win $500 sent to your Paypal account OR a Visa Gift Card!! I know!! How exciting is that?? 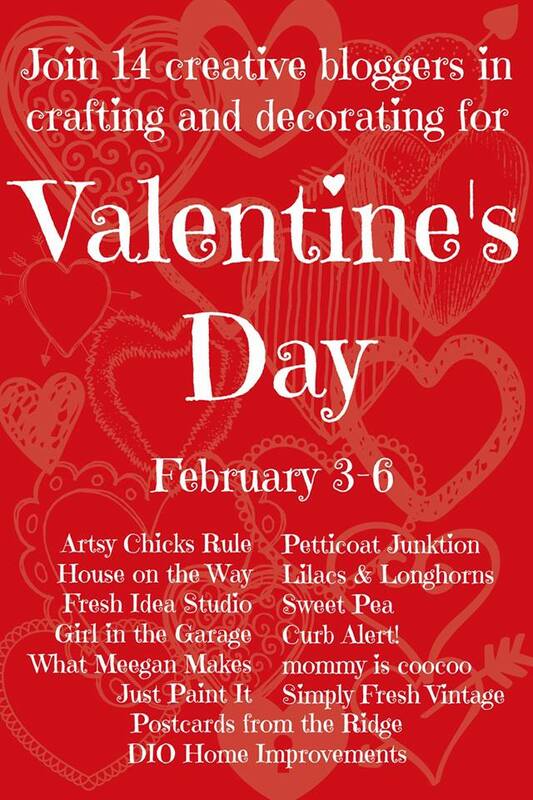 You could use the $$$ for YOUR Valentine, whether it be YOUR spouse, mom, dad, brother, friend, fiancee’, whoever YOU choose! I know!! $500 for Valentines Day. Who could resist, right?? Be sure to come back tomorrow to enter!! 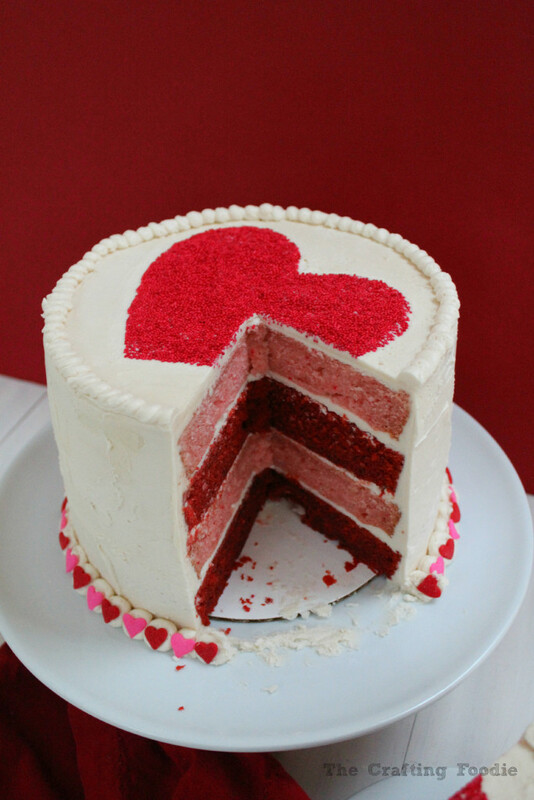 THEN, Monday Starts the Valentine Tour with 14 bloggers sharing their best RED and Valentine Ideas. Don’t miss out on that either!! Pure inspiration for 4 days!! 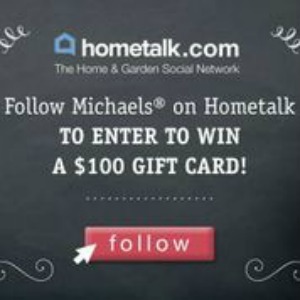 Be sure to visit Hometalk and follow Michaels to enter to win a $100 Gift Card from Michaels!! More giveaways!! Yep, just follow Mihaels and YOU could win $100 towards Michaels!! Follow TODAY for your chance to win. 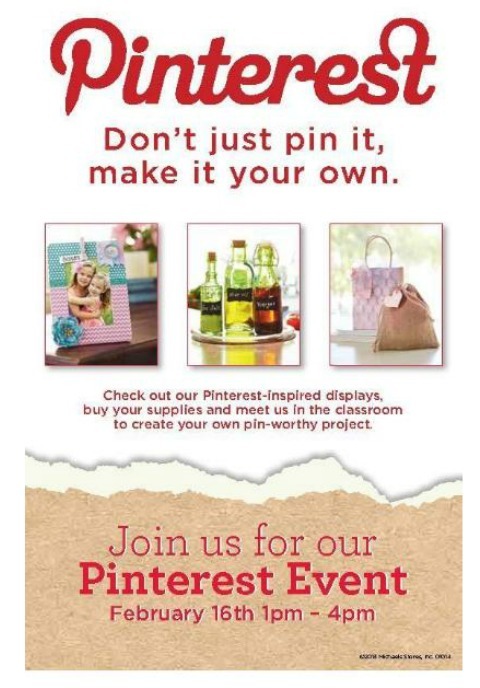 Also in February, I am partnering with Hometalk and Michael’s to have a Pinterest Party at Michaels!! 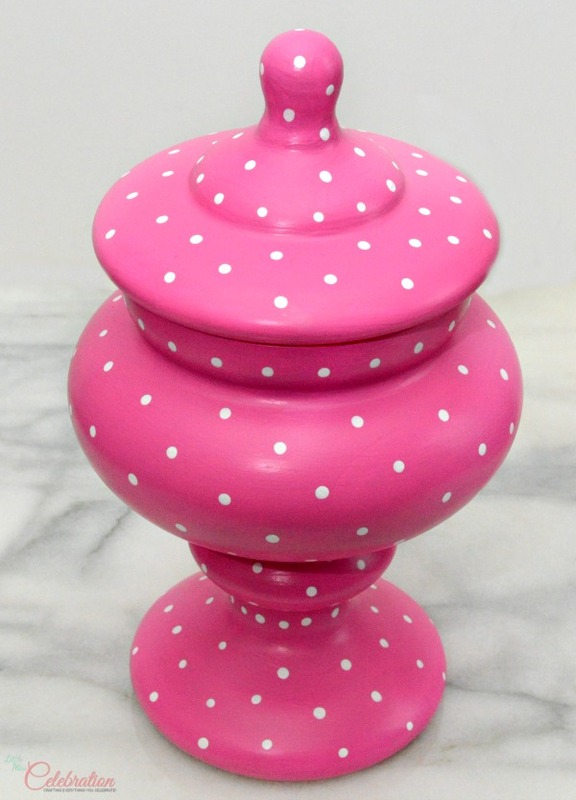 I will be at Michael’s as the craft instructor on Sunday, Feb. 16th from 1 to 4. I will let you know the craft we are doing asap, as I am meeting with the store manager today. The location will be announced soon, as well. 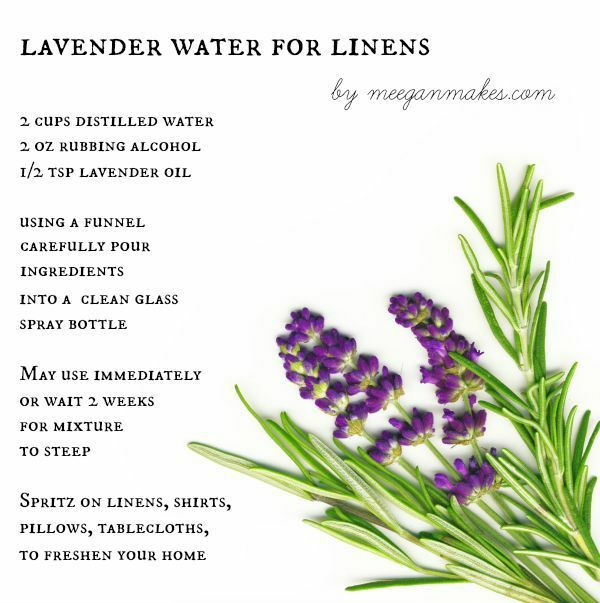 I hope YOU will join me at the Pinterest Party. We will tweet, Instagram and Facebook all of the fun we are having that day!! I can hardly wait to meet you and craft together. If you don’t live near me, check out the Michaels nearest you for details in your area. 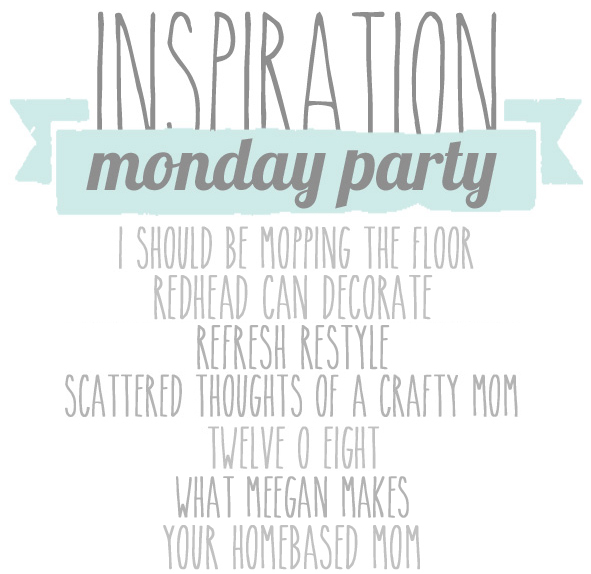 There will be 100 bloggers at 100 Michaels stores all crafting together at the SAME time! 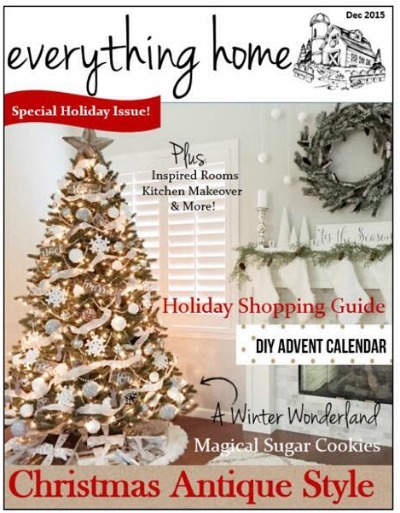 You do NOT want to miss out on a fabulous time with amazing bloggers, crafts, Michaels and Hometalk, do you?? An exciting and fun way to start February, right??? 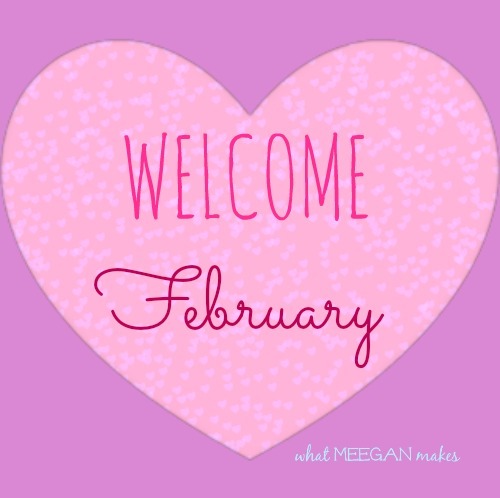 So I say, Welcome February!! See you tomorrow for the $500 Giveaway!! I couldn’t be happier about today’s Field Trip Friday with Debbie from Debbie Doos. She took me under her wing right from the beginning of my first blog post. So, it is an honor for me to have her here today. 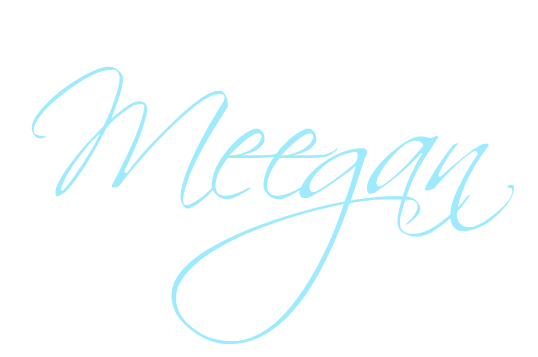 Hi there everyone, so nice to be here today at What Meegan Makes. 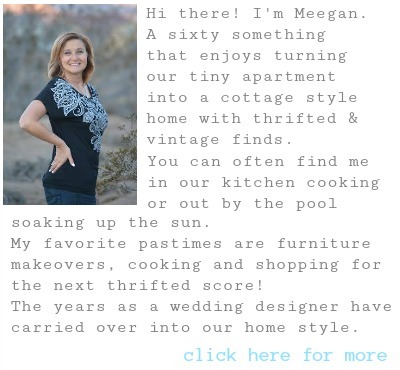 Meegan and I go way back, like way back to when she first started blogging. It has been a pleasure getting to know her through this journey of creativity. 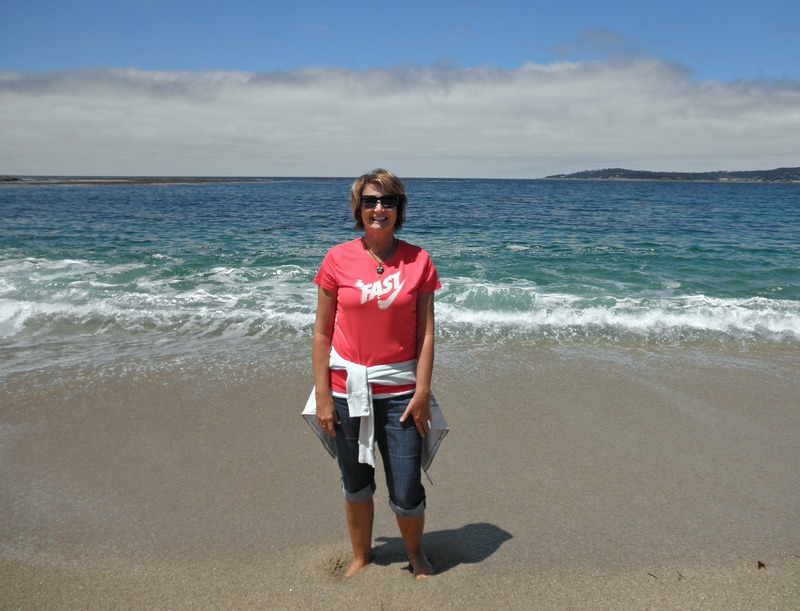 My name is Debbie and my blog is Debbiedoo’s. 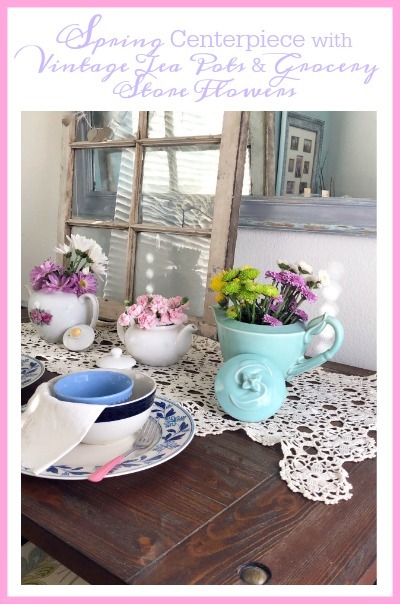 I share, budget friendly home decor ideas, crafting and thrift finds, some even freebies that I make over. This was my past year round up and I do hope you enjoy and come by and visit me sometime. I did not have a whole lot of BIG diy’s this past year. probably painting the fireplace surround. You can read all the deets about it, but is sure was a lot easier than I had aniticpated. I even asked myself what took me so long. I started off the New year pretty heavy into crafting. I started to get the hang of it more and really had fun just going with it. 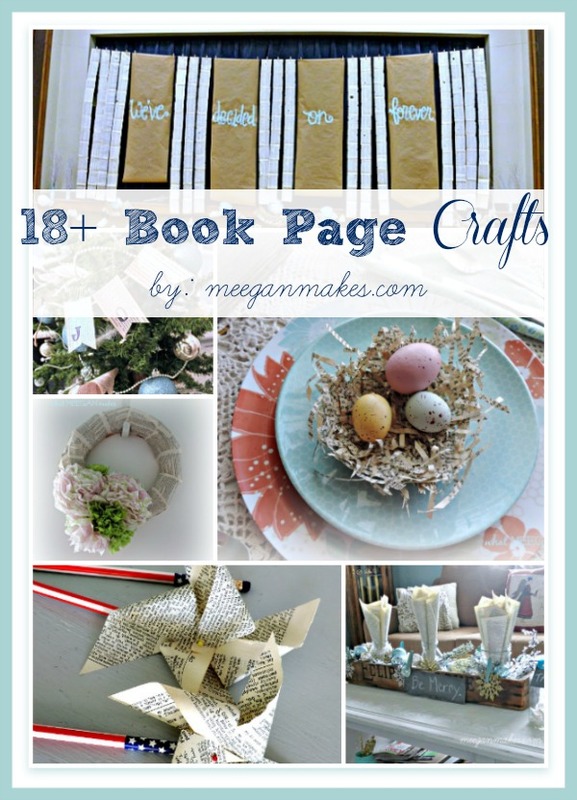 by the time March came along I am sure I had at least 30 or more crafts on the blog. 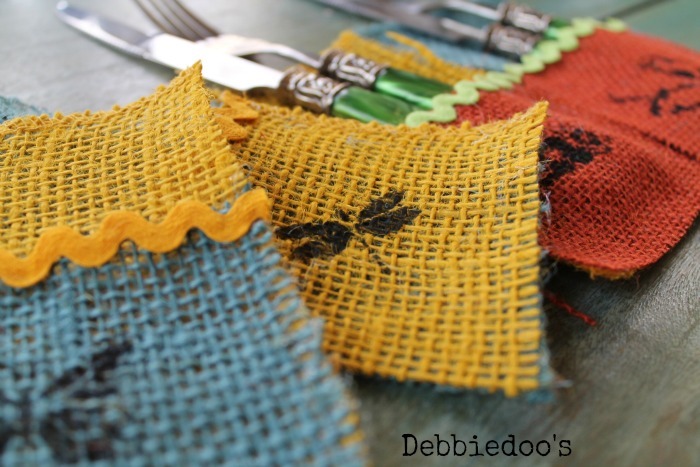 These burlap utensil holders were a fan favorite indeed. I loved them too and can’t wait to get them out again before you know it. March was a really big month for my family and I. We got to take a trip of a lifetime to The countryside of Ireland. Our son marched in the St. Patricks’ day parade. I was pretty whipped after that trip and did not do much for the rest of the month. but y’all really liked it and it still hangs proudly in our kitchen today. 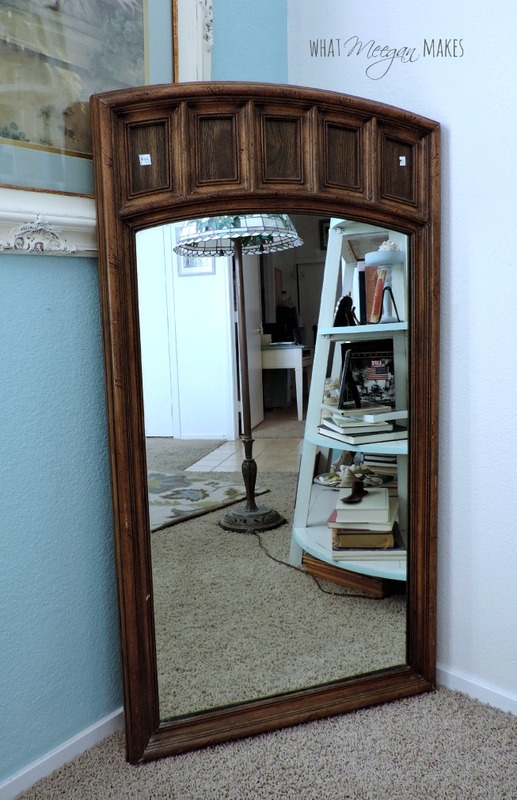 You would have thought this thing was made out of gold on pinterest. I always question what makes something so popular, and you really never do know. I just do things I love and if it sticks, great, if not, that is fine too, I LIKE IT! and it is our home. You have to enjoy your own surroundings and be comfortable with your own style. That is one thing that has been the toughest for me in blogging. NOT changing everything on a weekly basis! 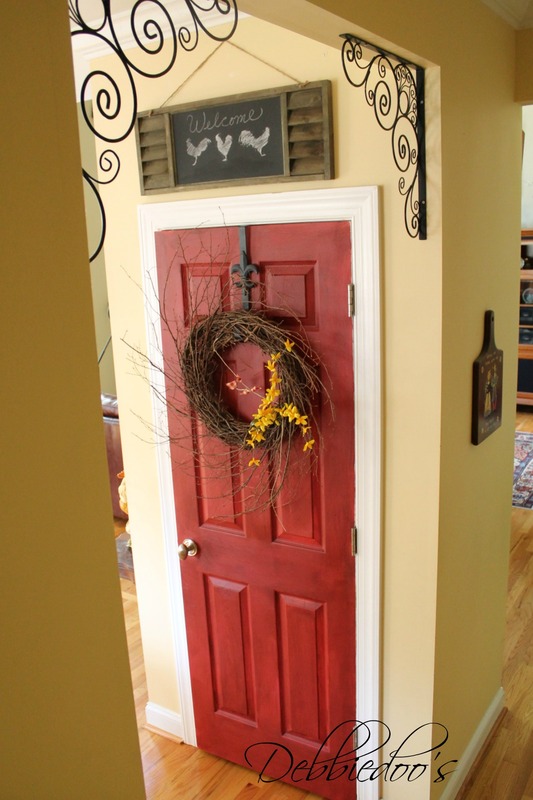 I almost forgot another big diy of ours was painting the pantry door red. We are so happy with this project, still. 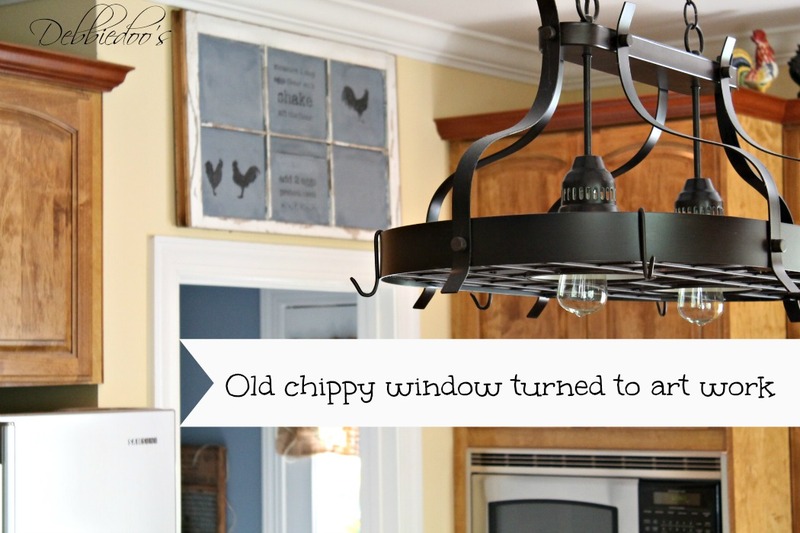 It is holding up great and just adds such interest and conversation to the kitchen. I later found out the history of a red door and was fascinated by it. First time at a sharpie project. 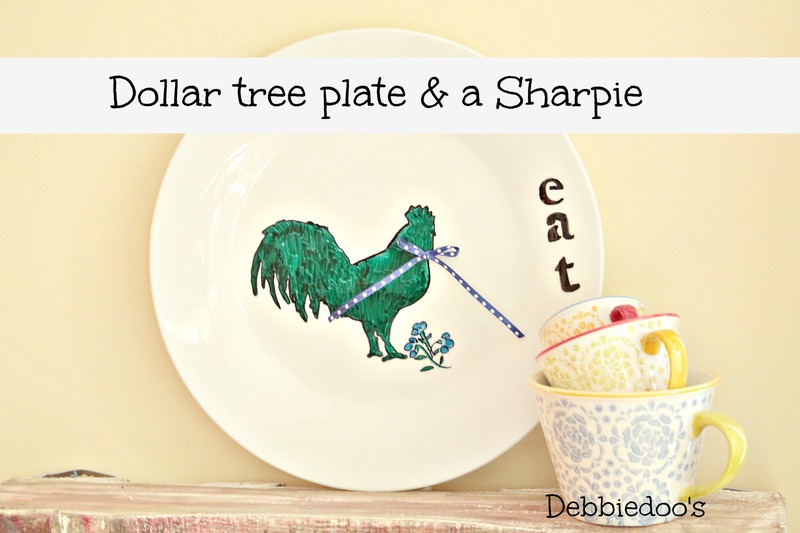 This dollar tree plate with Sharpie set the tone for more sharpie projects to come. 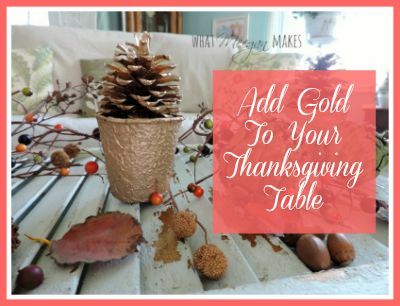 If you notice I am highlighting the archives as I go, there are a lot of crafts and home projects in them for you to check out according to the season. Probably the biggest boost for my overall morale and self esteem since blogging. I actually came up with a never been done before concoction of painting on glass with mod podge and rit dye. Mixing Mod podge with Rit dye turned out better than OK. 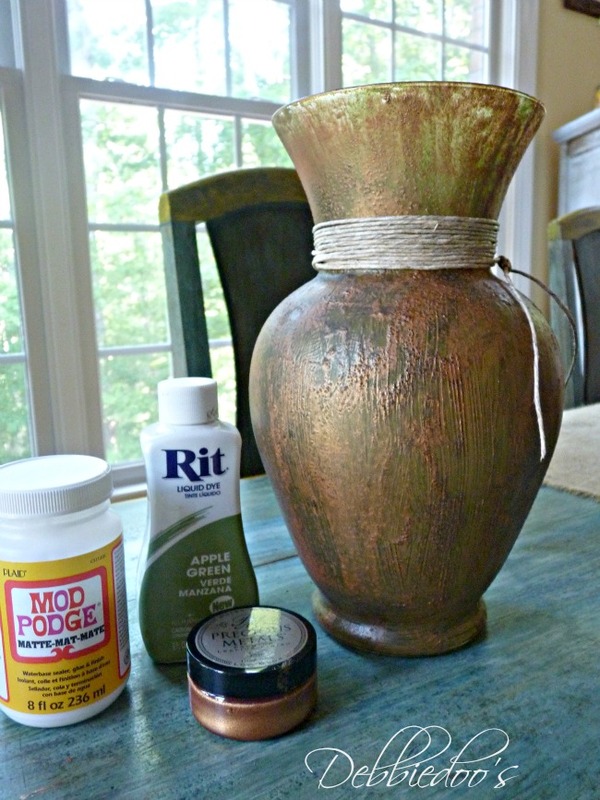 I went on to do some pretty cool stuff with the Rit dye and Mod podge combination. Glad I kept in mind you’re only a rock star for a short time, then it is back to same old same old. Not complaining, I like my same old same old, but like I said this little boost was certainly good for me at the time. fall was here and that truly is my favorite. 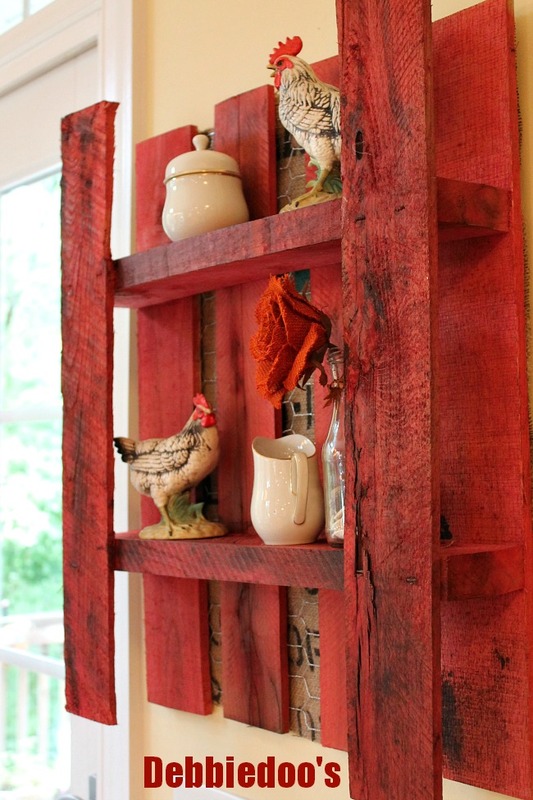 My garbage picked Painted with rit dye, burlap and chicken wire pallet shelf is probably my favorite of all. Have I mentioned it fell off the wall once? Yes, it did, and not a thing broke off of it. The nail actually broke, very weird, but hubby fixed it and all is good now. The fall season is gone before we know it, and people quickly move onto Christmas. In fact, people I noticed started pinning Christmas decor in October. But that is how this biz rolls, very quickly, competitively and rush it along. Hey, I don’t make the rules, if I did, we would still be in Fall mode. Christmas was easy and very stress free for me this year. even bought myself a small Charlie Brown Christmas tree from Target. All the Christmas decor, but the tree is down now! In fact, this sucker is staying up for a while and I plan on decorating a few more seasons with it. Here is a sneak peek at Mr. Charlie Brown tree and our Family room for Valentine’s day. oh and even more cooking and baking for me this year. I appreciate every single one of my friends and readers that come by to visit me. Thanks for the bottom of my heart Debbie! You Rock!! I hope you all enjoyed Field Trip Friday with Debbie from Debbie Doos as much as I did. Remember when I told you how sick I was the week before Christmas??? Well, my sweet and most generous friend, Cindy offered to fill in for me today. Isn’t she the best?? 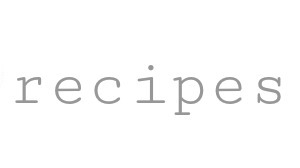 You will love her recipe for Frozen Lemon Souffle’ and her blog!! Hello everyone! 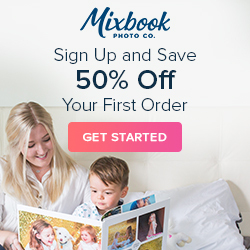 I’m Cindy and I blog at Little Miss Celebration, where we’re always crafting, cooking and finding ways to make everything you celebrate special. I’m so happy to be here today visiting with all of you and a big hug of thanks to Meegan for inviting me to share a “Best of” recipe. I am a huge lemon lover and we don’t have to wait until summer to enjoy a fabulous lemon dessert. We can get the great look of a soufflé without an oven with this delicious, Frozen Lemon Soufflé! Lemony, creamy, tart and rich, this frozen dessert has a texture that’s a cross between ice cream and custard. With a few simple touches, it’s easy to make a dinner-party worthy presentation – perfect for holiday entertaining and New Year’s Eve! This frozen lemon soufflé can be made in either a 2-quart soufflé dish or in individual soufflé dishes. The number of individual desserts that this recipe will yield depends on the size of your individual soufflé cups. Prepare soufflé dish or cups by wrapping a 3-inch wide strip of aluminum foil around the top edge of the dish to form a “collar.” I like to double the foil for extra strength. Since these aren’t going in the oven, use tape to secure the foil to the dish. Since this is probably almost a 5″ collar, obviously my measuring skills need some work! Place the gelatin in the ¼ cup of cold water to soften and set aside. In a medium saucepan, use an electric hand mixer to beat egg yolks and sugar together until the mixture is light colored and creamy. Add lemon juice and cook over low heat, stirring constantly, until thick. Add softened gelatin and lemon zest to cooked mixture, continuing to cook and stir until all gelatin is dissolved. Let mixture cool. In a mixing bowl, whip the cream until soft peaks form. In another bowl, beat the egg whites until soft peaks form. Transfer the cooled egg yolk mixture to a large mixing bowl. Fold the whipped cream into the egg yolk mixture, then fold in the egg whites. Pour the mixture into the prepared soufflé dish or individual soufflé cups. To make it easy to place the finished mixture into individual cups, use a soup ladle! Freeze soufflé at least 4 hours before serving. For a great presentation, finish with a rosette of whipped cream and a sprinkle of grated lemon zest and tie a sheer, yellow ribbon around the soufflé dish! 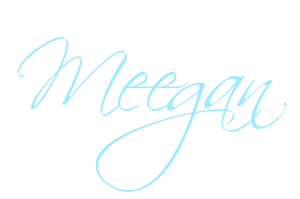 It has been so much fun spending time with you today and thanks so much to Meegan for inviting me to share on her wonderful blog! You are warmly welcomed to come visit me at Little Miss Celebration any time. Wishing all of you happy holidays and best wishes for a wonderful 2014! Oh, Cindy! Thank you from the bottom of my heart!! You are amazing and a wonderful blogging friend. I appreciate you SO much! I hope all of you will be sure to visit Cindy at Little Miss Celebration as soon as possible!! Everyone make it a Souffle’ Saturday! !